Professional grade aftermarket vehicle lighting and backup assistance solutions - all available with no order minimum! 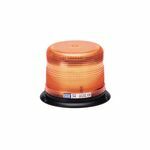 Lighting and signaling devices are available with halogen, incandescent, or LED bulbs and will fit trucks, trailers, GSE and other commercial vehicles. Gain additional audible and visual assistance needed for fleet, OEM and emergency vehicles with an assortment of beacon lights, ECCO backup alarms and backup camera systems. For big and small projects alike, also grab the grommets, brackets and pigtails needed for each model for easy installation - all right here at Del City.